These authentic beef tostadas (salpicón de res tostadas) originate from the south of Mexico and are filled with tender beef, lettuce, tomatoes, cheese, and onion. 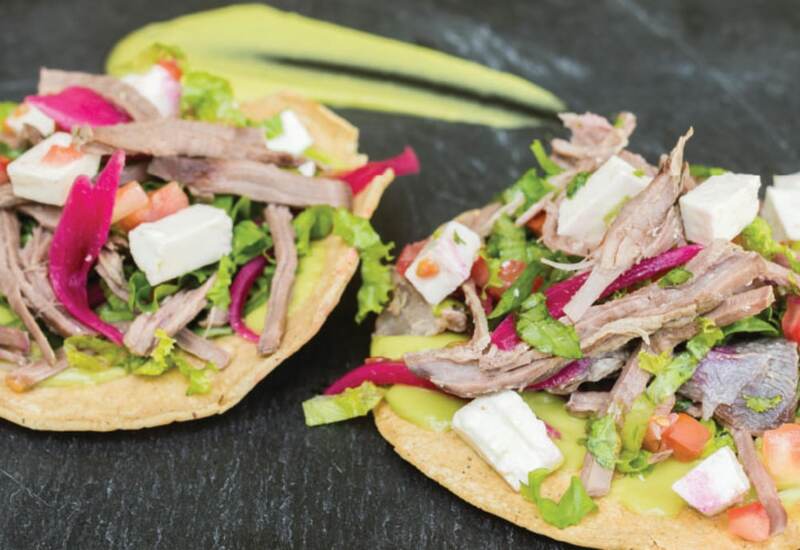 Tostadas are great served on hot days as a main course or even as a snack. Serve with sour cream or your favorite sauces for a perfect dish. Try a variety of spicy chile peppers to increase the heat and switch out the cheese for your favorite to make this dish your own. Per Serving: 899 calories; 56g fat; 40.1g carbohydrates; 60g protein; 173mg cholesterol; 1606mg sodium.